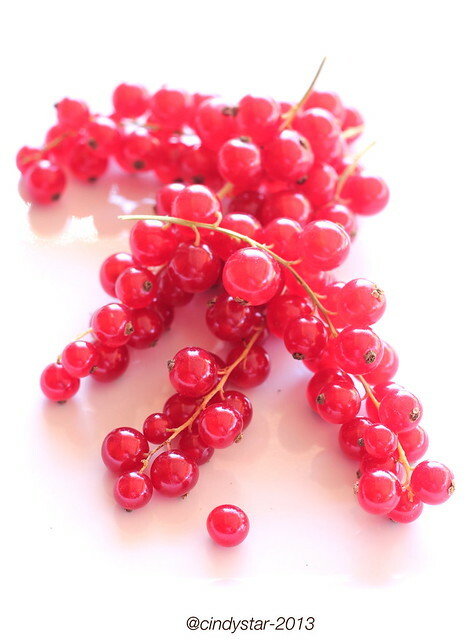 Ho finalmente trovato il ribes rosso, e ad un prezzo ragionevolissimo, per cui ho provato a fare la confettura da abbinare ai piatti salati nordici dei paesi europei che stiamo visitando con l'Abbecedario della Comunità Europea, da pochi giorni arrivato in Svezia. Ed ho provato a farla senza zucchero, per rimanere nella tabella degli alimenti permessi di Salutiamoci, che questo mese ospita la raccolta dei frutti rossi. Semplicissima e velocissima, si potrà fare anche fresca al momento del bisogno, oppure conservarla per l'inverno invasandola calda nei vasi sterilizzati in forno e capovolgendoli fino a completo raffreddamento, oppure sterilizzando i vasi di confettura a bagnomaria (consigli preziosi per buone e sane conserve qui). Ideale con piatti di carne o selvaggina, come il soufflé di fegato provato nei giorni scorsi. Sgranare il ribes passando una forchetta lungo il rametto dei frutti, ed eliminare eventuali piccioli. Oppure si può congelare il ribes e poi facilmente sgranarlo, usando subito i piccoli frutti. Riunire ribes, succo di mela e di limone in una padella e portare a bollore, far bollire solo un paio di minuti, giusto che i frutti rilascino sapore e colorino il succo. Scolare il ribes e mettere da parte. Aggiungere anche il malto e far ridurre a fiamma vivace fino alla consistenza desiderata (questione di pochi minuti davvero). Rimettere i frutti rossi in padella, mescolare bene e lasciare insaporire un minuto (questa volta a fuoco basso, altrimenti asciuga troppo) ed invasare. 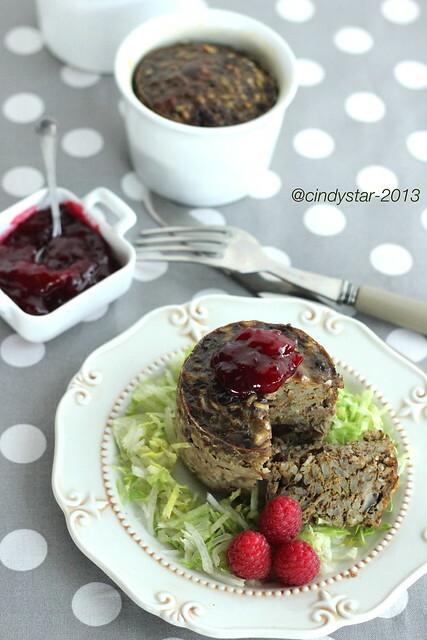 A typcal Scandinavian compote to be served with meat and/or game dishes, like the Liver Flan we tried a few days ago. Simple and fast, you can be made fresh when needed. 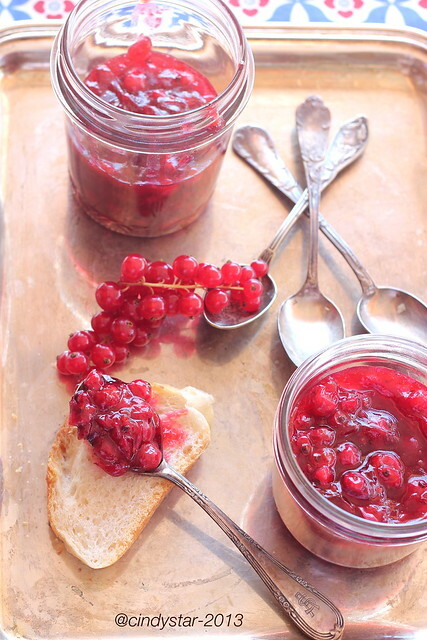 Wash the currants and remove them from their stems. 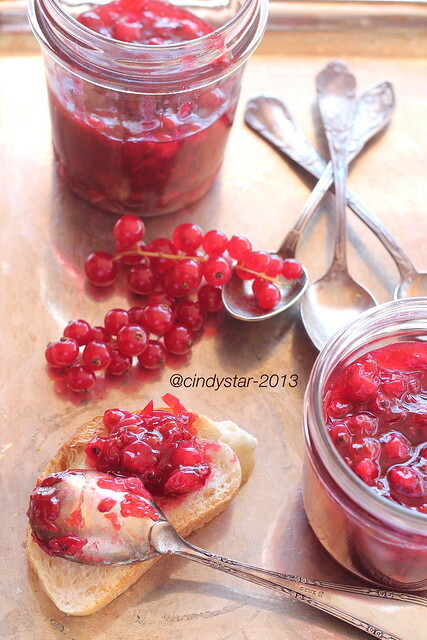 You can either use a fork along the branch or you can freeze the currants and then easily remove the little fruits from the stems (no need to thaw the fruit, just go ahead with the recipe). 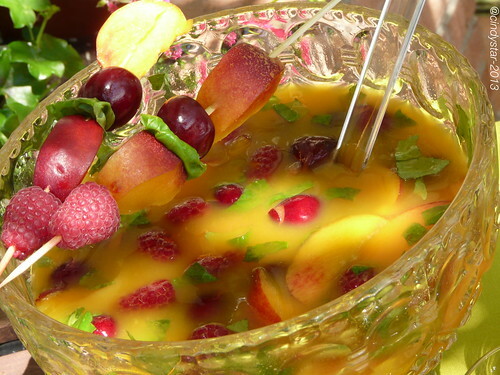 Combine currant, apple juice and lemon juice in a pan and bring to a boil, cook only a couple of minutes, the fruits will release flavor and color to the juice. Drain the currants and set aside. Add the malt to the juice and reduce over high heat to the desired jelly consistency (just a matter of few minutes actually). Place the red fruits in the pan, mix well and cook a minute over low heat: the compote is now ready to be potted. Ho preso in prestito da mia cugina un interessante libro di degustazioni culinarie da tutto il mondo, si intitola appunto Le più belle ricette dal mondo, edizioni Giunti, e al bisogno mi aiuta nel viaggio dell'Abbecedario della Comunità Europea, che oggi termina la sua tappa in Finlandia, ospiti di Tamara. La Finlandia è il paese delle alci e delle renne, due ingredienti per niente comuni sulle nostre tavole (e probabilmente anche difficili da reperire), ma è anche il paese dei funghi e dei frutti di bosco, più facilmente accessibili ed entrambi presenti in questa ricetta. Il dolce/acidulo dei frutti di bosco ben contrasta con il sapore più particolare del fegato: non trovando il ribes rosso l'ho degnamente sostituito coi lamponi, ed ho preferito usare i fegatini di pollo per un sapore più mite. Per praticità, conservo l'uvetta passa in un vaso con la grappa, in questo modo è sempre pronta morbida all'uso, inoltre leggermente aromatizzata, e la componente alcolica evaporerà in cottura non lasciandone taccia. Si pò fare un soufflè unico in uno stampo rotondo o rettangolare oppure optare per 6 stampi monodose in ceramica (tipo Ikea). Far cuocere il riso al dente in acqua e latte, salare leggermente e lasciare raffreddare. Tagliare i funghi a pezzi piccolissimi e farli rosolare in padella con burro o olio insieme alla cipolla tritata. Passare il fegato al tritatutto (ho usato il minipimer) ed unirlo alle uova sbattute e all'uvetta. Unire al composto il riso, i funghi e la cipolla, aggiustare di sale e pepe. Imburrare ed infarinare lo/gli stampo/i e versare il composto. Cuocere in forno a 180° a bagnomaria in una pirofila per circa un'ora (un pochino meno se si usano gli stampini singoli). Rovesciare sul piatto da portare e servire con un'insalatina e la composta di mirtilli o lamponi. In alternativa si può optare per una salsa di funghi e prezzemolo. Per la composta di ribes rossi o lamponi: in un padella mettere i frutti e metà del loro peso di zucchero di canna, irrorare con succo di limone (mezzo limone è sufficiente per 200/300 g di frutti rossi). Far prendere il bollore e cuocere a fiamma vivace per 10/15 minuti. Se si usano i lamponi passare la composta attraverso un colino per eliminare i fastidiosi semini. 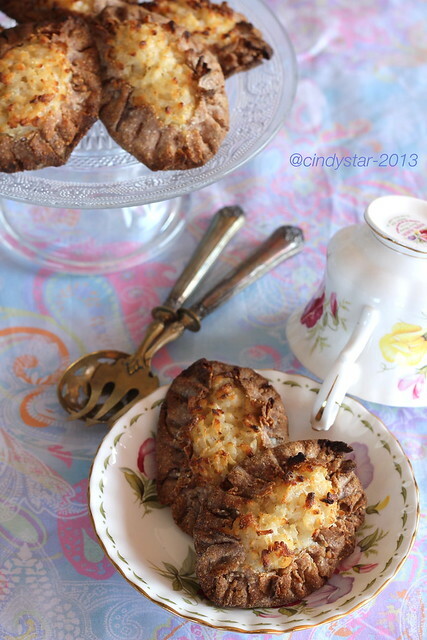 Finland is the land of moose and reindeer, two very uncommon ingredients in our countries (and probably difficult to find), but it is also the land of mushrooms and berries, more easily available and both in this recipe . The sweet/sour taste of the berries nicely contrasts with the more peculiar flavor of the liver: I had to replace red currants with raspberries, and preferred to use the chicken livers for a milder taste. I am used to keep the raisins in a jar with brandy, so it is always ready and soft when needed, also lightly flavored; the alcohol will then evaporate during cooking. You can use a round or rectangular mold, or 6 individual ones (Ikea style). Cook the rice al dente in water and milk, salt lightly and let cool. Cut the mushrooms into small pieces and fry in a pan with butter or oil along with the chopped onion. Pass the liver to the grinder and combine with beaten eggs and raisins. Add rice, mushrooms and onion, season with salt and pepper. Grease and flour the mold and pour the mixture into. Bake at 180° in a water bath for about an hour (a little less if you use individual molds). 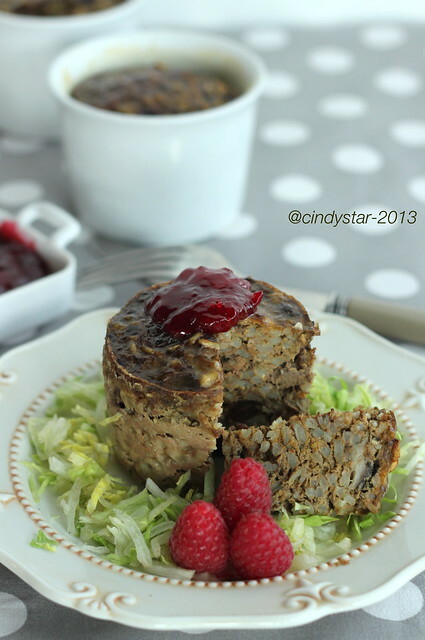 Overthrow it on the plate and serve with a salad and the berry jam. 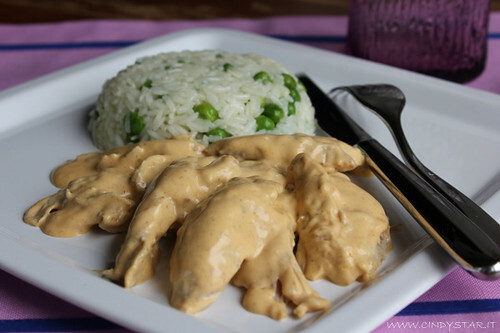 Alternatively you can serve with a mushroom and parsley sauce. 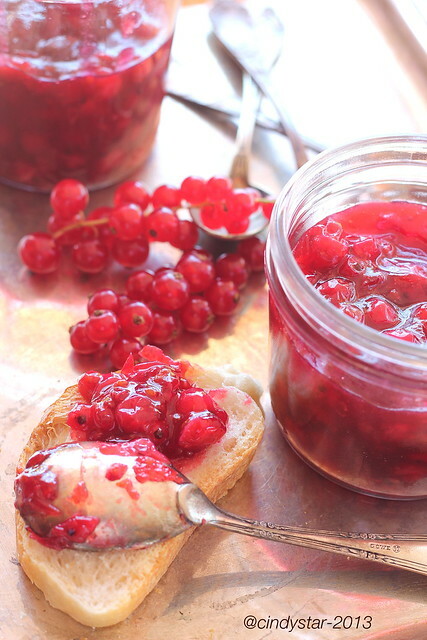 For the redcurrant or raspberry jam: in a pan combine the fruit with half of their weight of sugar cane, drizzle with lemon juice (half a lemon is enough for 200/300 g red fruits). Bring to a boil and cook over high/medium heat for 10/15 minutes. 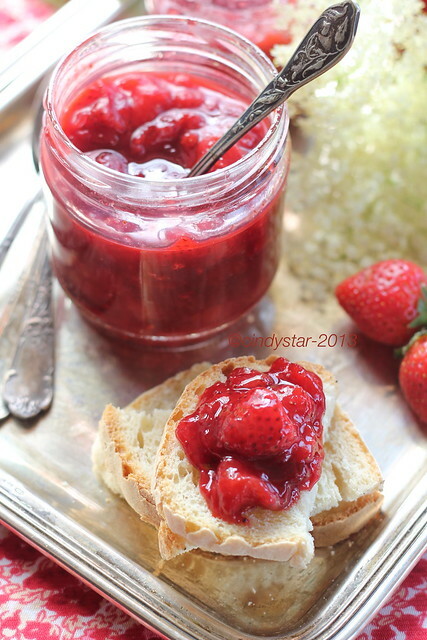 If you use the raspberry compote pass it through a strainer to remove the seeds. 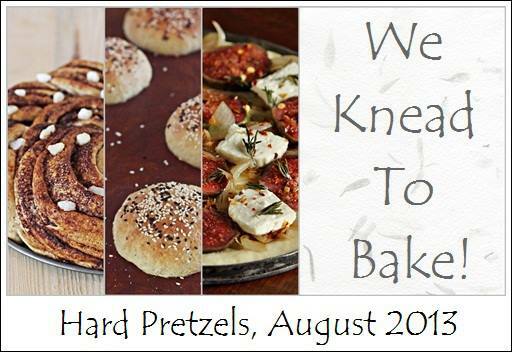 Another great challenge for We Knead to Bake, the baking group of Aparna of My Diverse Kitchen, created with the intent to bake a different bread every month in 2013. 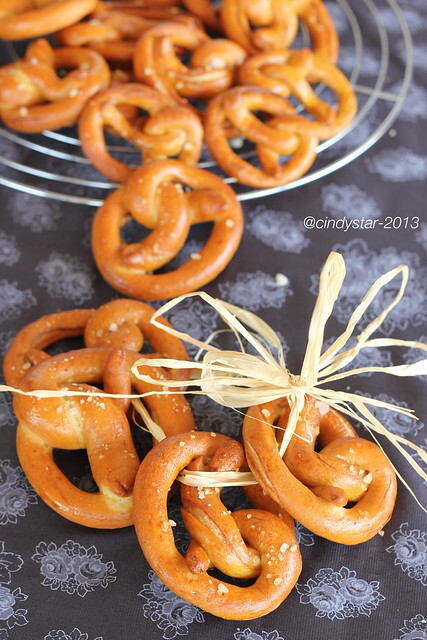 I made soft Pretzel time ago, and was very satisfied, so I was more convinced to give a new try for crunchy hard ones. The authentic German Pretzel, the Laugenbrezel, has a dark brown, crispy, salty crust, and inside a soft dough. 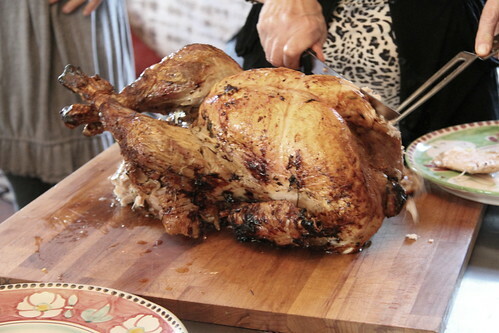 It has a plump body, and thin, crispy (not dry) crossed arms. 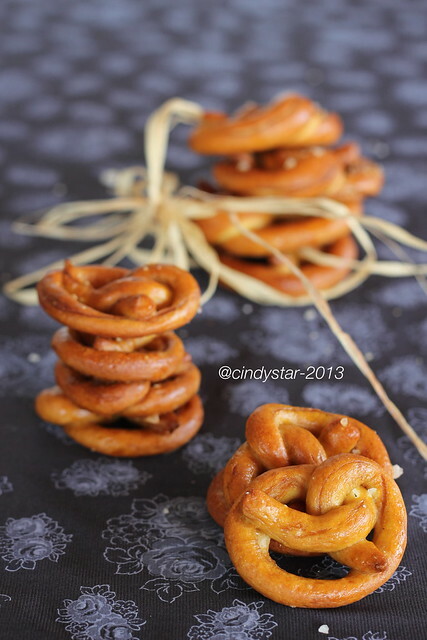 The Hard or Crunchy Pretzels are an American invention! The story goes that one morning sometime in the late 1800s, a baker at the Munich Royal Café, was preparing some sweet pretzels for his guests. Instead of brushing them with sugar he accidentally brushed them with the sodium hydroxide solution being used to clean and disinfect the bakery countertops! Instead of binning his dough he went ahead and bake them anyway. The resulting pretzels came out of the oven with a unique brown crust, soft centre, and delicious taste. There many stories about the shape too. A popular one is that the shape resembles a praying monk (back then the praying position was arms crossed with the hands on the shoulders). The taste of the Pretzel comes from its dunking in the soda bath. Originally a solution of lye was used for this bath but lye is highly corrosive and needs to be handles with care. A baking soda solution works just as well, and once you’re done, pouring it down your sink will give help unclog the drain if necessary! I followed the recipe Aparna gave us but had to make it just a little different as did not have enough all-purpose flour for it: so I went for 2 1/2 cups all-purpose flour and 2 cups kamut flour. Can be made by hand but it is easier with a kneader. Put the warm ware, sugar and yeast in a bowl and mix. Keep aside for about 5 minutes or so until the yeast activates and becomes “frothy”. Put this, the flour and the salt in the processor bowl and knead until you have a soft, smooth and elastic dough that is slightly sticky to touch, but pulls away from the sides of the bowl. If your dough feels too wet add a couple of tablespoons of flour to get the required consistency. Shape the dough into a ball and pace it in an oiled bowl, turning it to coat it well. Cover and let it double in volume. This should take about an hour or so. Deflate the dough, so that almost all the air is removed. Lightly flour your work surface and roll the dough out into a 12” by 12” square. Then using a pizza cutter divide the square into 36 smaller equal sized squares by cutting into six 2” wide strips both vertically and horizontally. The purpose of this exercise is to get 36 equal sized bits of dough! Now lightly oil your palms and your work surface. If you add too much of oil you will not be able to roll out the dough into “ropes”. Flatten each square of dough and then roll it up as tightly as you can. Now place the “rolled” bit of dough on your work surface and using your hands, roll it out into a uniform “rope” of about 15” length. It will be thinner than a pencil. 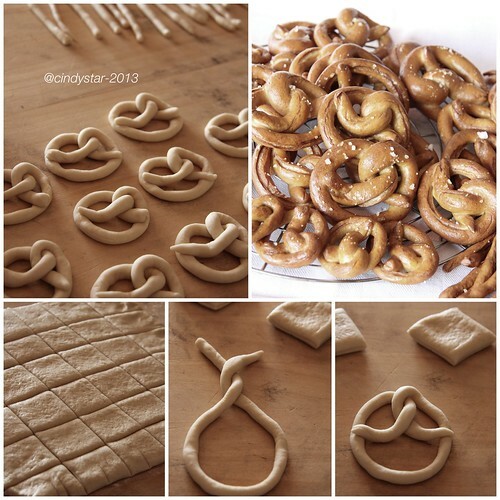 You can leave them as “sticks” instead of shaping them into pretzels. If you want them shorter, you can halve them. Remember baking time will differ depending on the shape of your pretzels. The baking temperature is the same whether you shape them into sticks or pretzels. If you would prefer to make pretzel bites then do not roll the dough out into a square. Just divide it into 4 portions and then roll each portion into a “rope that is about 1” in diameter. Cut each rope into 1 1/2" bits. Roll each ball into a long rope about 1” in diameter. Cut each rope into 1 1/2" bits. Then proceed to boil them as given in the instructions below. Bake the pretzel bites at 210C (425F) for about 15 minutes. 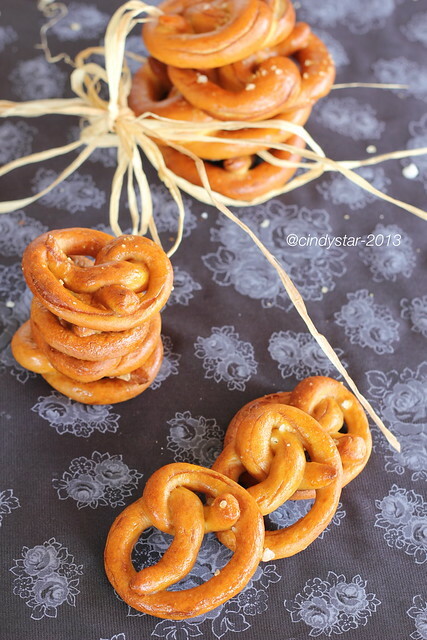 Shape it into a pretzel and place it on a greased plate or sheet. Working as quickly as you can, repeat with as many pieces of dough that you can bake as one batch while keeping the other bits of dough covered with a damp towel to prevent them from drying out. It is better to work in batches to get better results. Place the shaped dough on the greased plate/ sheet leaving about 1/2" space between them. First prepare your baking sheets. It is a good idea to line them with parchment paper which is lightly brushed with oil. This makes them easy to remove after baking and also protects your baking sheets from the soda solution. Now prepare the soda bath. Bring 6 cups of water to boil in a deep pan/ pot. Add the baking soda carefully. It will bubble up and froth a bit and then settle down. Using a slotted spoon or a spatula, gently slide about 5 to 6 pretzels, one at a time, into the bath. Let them cook on one side for 10 seconds. Flip them over and cook them for another 10 seconds. Do not cook them for more than 30 seconds in total, or your dough will become slimy. Remove the boiled pretzels with a slotted spoon and place them on the parchment lined baking sheets. If using the egg wash, brush it over the pretzels, and then sprinkle it with the salt. Bake them at 180C (335F) for 40 to 50 minutes until they’re deep golden brown in colour and hard. 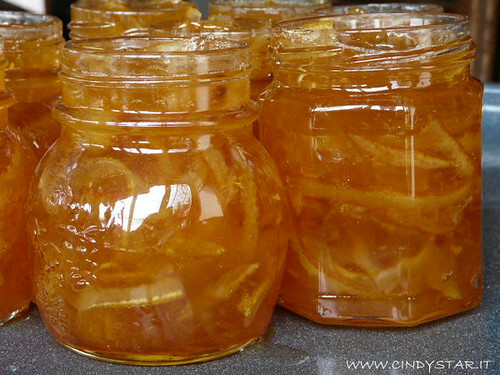 Cool them on a rack and store them in airtight containers or they will become soft and chewy. This recipe makes 36 hard pretzels. L'Abbecedario della Comunità Europea è già arrivato in Finlandia da un paio di settimane e ci rimarrà ancora qualche giorno, giusto il tempo per mettersi ai fornelli e provare un paio di ricettine che mi ero segnata. Non sono mi stata in Finlandia, dei paesi nordici ho solo attraversato la Danimarca e la Svezia per arrivare in Norvegia, ed ammirare i suoi monti innevati dopo una visita veloce a Oslo. Ma ho una cara amica che ci va spesso per lavoro e chissà magari un giorno potrei unirmi a lei, ed avere così la possibilità di visitare e rigenerarsi di pensieri positivi nella recentissima Cappella del Silenzio. 5,4 milioni di persone vivono in Finlandia, la maggior parte concentrate nelle regioni meridionali. In termini di superficie, è l'ottavo paese più grande d'Europa e il paese con più bassa densità di popolazione. La Finlandia era in ritardo rispetto all' industrializzazione, rimanendo un paese in gran parte agricolo fino al 1950. Successivamente, lo sviluppo economico è stato rapido, tale che oggi, con un reddito pro-capite nominale di oltre 49 mila dollari, è una delle nazioni più ricche del mondo. Secondo alcune misure, la Finlandia ha il miglior sistema educativo in Europa ed è stato recentemente classificato come uno dei paesi più pacifici ed economicamente competitivi del mondo. E' stato anche classificato come uno dei paesi al mondo con la più alta qualità della vita. Secondo la rivista Newsweek la Finlandia è il miglior paese del mondo. Secondo la costituzione finlandese le lingue nazionali sono il finlandese e lo svedese. Il 90,37% della popolazione è di madrelingua finlandese e il 5,42% di lingua svedese. La Finlandia detiene anche una delle più basse percentuali di immigrati: solo il 2,5% della popolazione. Gli immigrati sono prevalentemente di origine europea, con maggioranze russe, estoni e svedesi. Il diritto di ius soli non è del tutto valido: se un bambino è nato in territorio finlandese e non ottiene la cittadinanza altrove, allora riceve la cittadinanza finlandese. 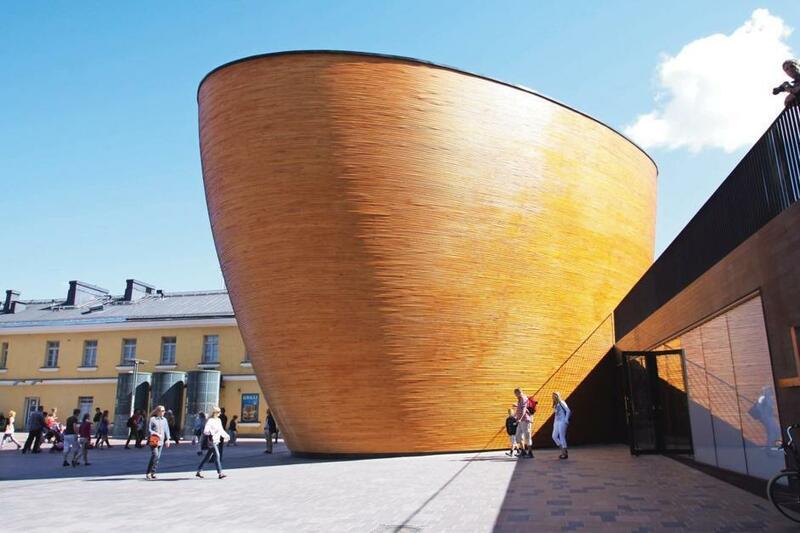 La Finlandia ha un tasso di alfabetizzazione del 100% ed è uno dei paesi al mondo con il più alto tasso di acquisto di libri e quotidiani pro capite. Nel 1998 la spesa per l'istruzione ammontava al 6,2 % del PIL contro una media del 5,3% degli altri paesi dell'OCSE. La scuola dell'obbligo inizia all'età di 7 anni e prevede 9 anni di frequenza divisi in un primo ciclo di sei anni, nei quali gli alunni hanno un solo insegnante e un secondo ciclo di tre anni nei quali hanno un insegnante per materia. La scuola è gratuita, gratuiti sono anche i libri di testo, i materiali necessari per l'attività didattica, il pasto e il trasporto per distanze superiori ai 5 km. La competenza del servizio scolastico spetta ai comuni. Tra le materie obbligatorie vi sono le due lingue ufficiali e un'altra lingua straniera. Fin dalla seconda metà degli anni 80 la Finlandia possiede un alto standard sanitario in tutto il territorio del paese. La nazione si è portata al passo coi tempi e coi suoi vicini scandinavi (Svezia, Danimarca e Norvegia). È tra i sistemi sanitari più efficienti del mondo. Sin da allora ha fatto notevoli progressi, per esempio nell'area pediatrica, dove ha il primato come paese con minore mortalità infantile al mondo. Come spiega Wikipedia, la karjalanpiirakka (letteralmente crostata careliana) è un piatto tradizionale finlandese originario della regione della Carelia. La torta in passato aveva di solito un impasto con farina di segale, ma altre varianti usavano farina di frumento per migliorarne la cottura. La farcitura più comune era orzo e kama. 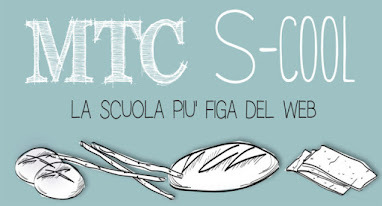 In seguito nel XIX secolo furono introdotte patate e grano saraceno e, più tardi, anche riso e miglio. Attualmente nella ricetta più comune le karjalanpiirakka sono costituite da una sottile sfoglia di segale con ripieno di riso, sopra il quale viene spalmato del burro, spesso impastato con uova sode. E' un prodotto alimentare tipico riconosciuto dalla UE. Non sono dolci, ma neanche salati, si sposano bene quindi sia a colazione che a merenda, sia con marmellata che con prosciutto o formaggio, perfetti per un brunch. Ho usato burro salato per pennellarli, e secondo me ci sta d'incanto! Unire il riso e l'acqua in una casseruola a fuoco medio. Portare a ebollizione, poi abbassare la fiamma, coprire e cuocere a fuoco lento per 20 minuti, o fino a quand tutta l'acqua viene assorbita. Aggiungere il latte, coprire e cuocere fino a completo assorbimento, circa 20 minuti. Condire con un pizzico di sale. Riscaldare il forno a 220°. In una ciotola mescolare insieme il sale e la farina di segale e poi ggiungere l'acqua. Impastare aggingendo un cucchiaio di farina 0 alla volta fino ad ottenere un impasto non più appiccicoso. Dividere la pasta in 16 porzioni uguali. Su una superficie leggermente infarinata, stendere ogni pezzetto di impasto in un cerchio sottile di circa 12/15 cm. di diametro. L'impasto deve essere il più sottile possibile. Versare circa 3 cucchiai del composto di riso al centro di ogni cerchio. Stendere il composto fino a un paio di centimetri dal bordo. Piegare i bordi della pasta verso il ripieno, e pizzicarli in modo da sigillarli in modo che contengano bene il composto (ci si può aiutare con i rebbi di una forchetta). Allungare leggermente le estremità per dare la forma di una piccola barca. 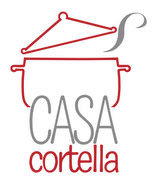 Sistemare i dolceti ben distanziati tra loro su una teglia da forno ricoperta di carta forno e pennellarli con il burro. Infornare per 10/15 minuti, il porridge di riso deve dorare sulla parte superiore. Servire caldi. 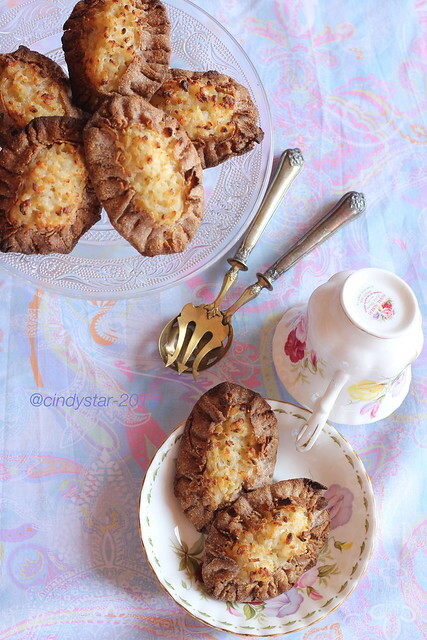 Karelian pasties or Karelian pies (Karjalanpiirakka) are traditional pasties from the region of Karelia. Today they are eaten throughout Finland as well as in the neighbouring Estonia. 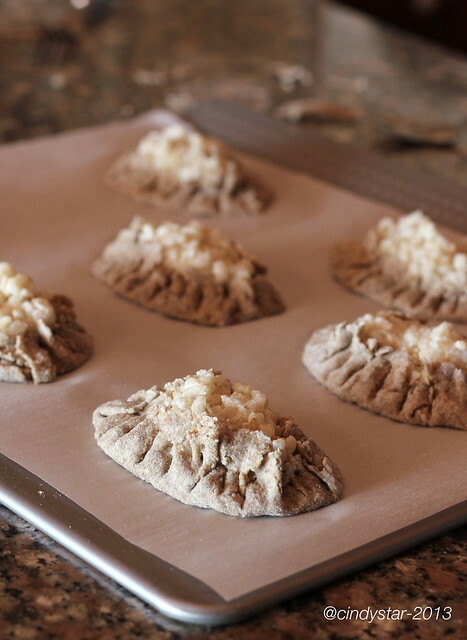 The oldest traditional pasties usually had a rye crust, but the North Karelian and Ladoga Karelian variants also had wheat alongside of rye to improve the baking characteristics of the available rye breads. The common fillings of this era were barley and talkkuna. The 19th century first introduced potato and buckwheat as new fillings, and later due to trade, also rice and millet. Nowadays in the most familiar and common recipe the pasties are made from a thin rye crust with a filling of rice. Butter, often mixed with boiled egg (egg butter or munavoi), is spread over the hot pasties before eating. 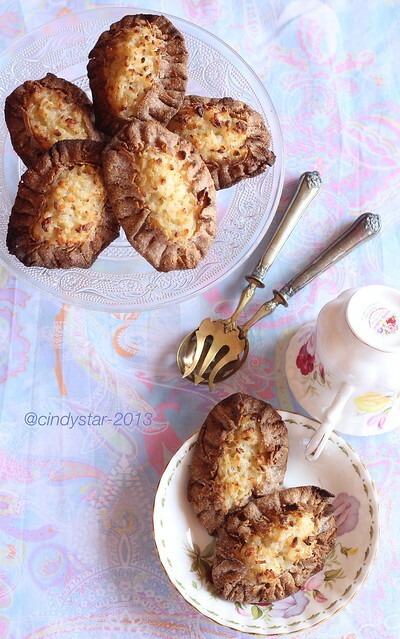 Karjalanpiirakka have Traditional Speciality Guaranteed (TSG) status in Europe. In Finland, they're often eaten at breakfast or lunch. Delicious topped with ham, cheese, or just butter (from Wikipedia). Combine rice and water in a saucepan over medium heat. Bring to a boil, then reduce heat, cover, and simmer for 20 minutes, or until water is absorbed. Stir in milk, cover, and cook until milk is absorbed by the rice, about 20 minutes. 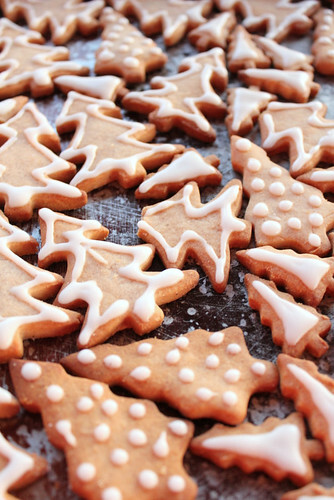 Season with salt to taste.Preheat the oven to 450° F (220° C). In a medium bowl, stir together the salt and rye flour. Stir in water. Mix in all-purpose flour 1 tablespoon at a time until dough is just past the sticky stage. Divide the dough into 16 equal portions. On a lightly floured surface, roll each piece of dough out into a thin circle 6 inches in diameter. The dough should be as thin as possible. Place about 3 tablespoons of the rice mixture in the center of each circle. Spread the mixture out to within 1 inch of the edges. 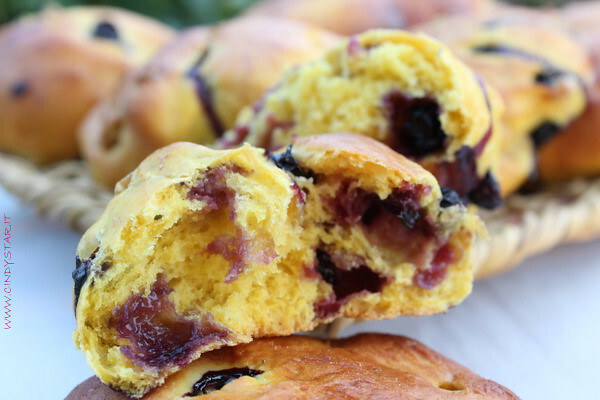 Fold the edges of the dough upward, and crimp the edges so as to allow the pastries to hold their shape. Pinch the sides at each end to form a little boat. Place pastries about 3 inches apart on an ungreased baking sheet, and brush the tops with butter. 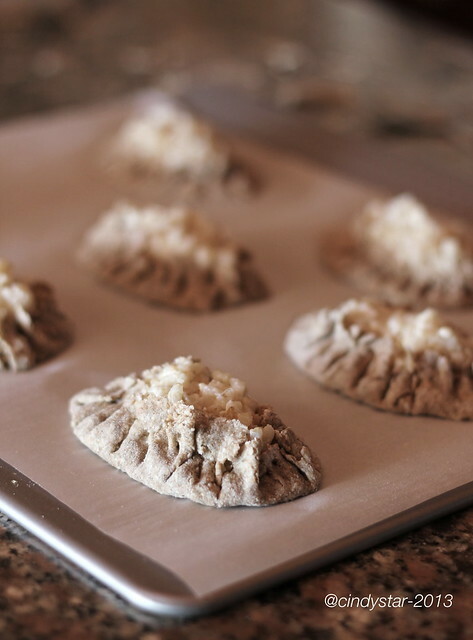 Bake for 10 to 15 minutes in the preheated oven, until the dough is firm, and the rice porridge is slightly browned on the top. Serve warm. The first strawberry sugarless experiment was very positive, but I used some pectin in it and read afterwards it contained a very very small amount of sugar anyway. So I did try again without any sugar contamination, and it was a very positive try indeed! 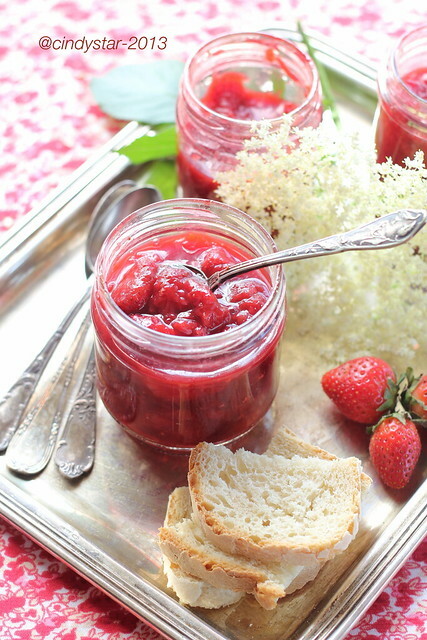 Pretty fast too, in half an hour you will be able to fill three jars of nicely perfumed and consistent red berries jam, flavored with a hint of dried elder flowers. If you like it sweeter, simply increase the dose of malt, but believe me (and the picture is just as real), it is so good the way it is. Cut the strawberries in half, place in a bowl, cover with rice malt and let soak covered overnight, preferably in the fridge after a couple of hours at room temperature. Transfer to a wide shallow pan (or wok), add lemon and apple juice and bring to a boil. Boil over high heat for 5 minutes, then drain the strawberries with a slotted spoon and place in a strainer over a bowl to catch the juice they release (which will be gradually put back in the pan). Let simmer over high heat until the juice is reduced to about half/one third, you see it is ready when syrup bubbles change andjuice consistency is very syrupy (it will take about 15 minutes). 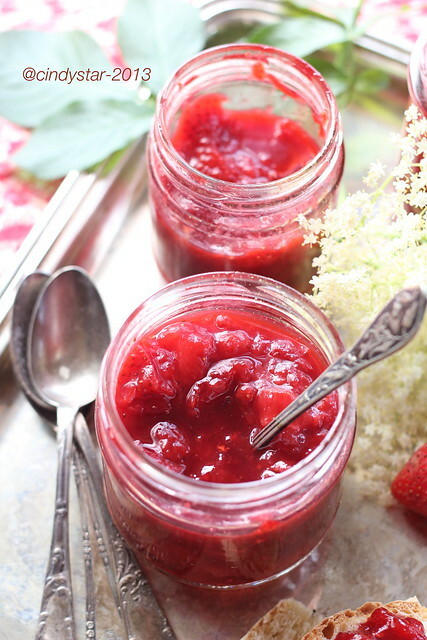 Pour the strawberries back in the pot, cook a couple of minutes, remove from heat, add the elderflower and give a good stir, the jam is ready for the jars! It's up to you the storage method to follow: sterilize the jars in a water bath or close and place them upside down until completely cooled (in this case the jars must be first sterilized in oven at 100° for at least one hour and lids boiled for 15 minutes in water). hosted by Lynne from Cafe Lynnylu. 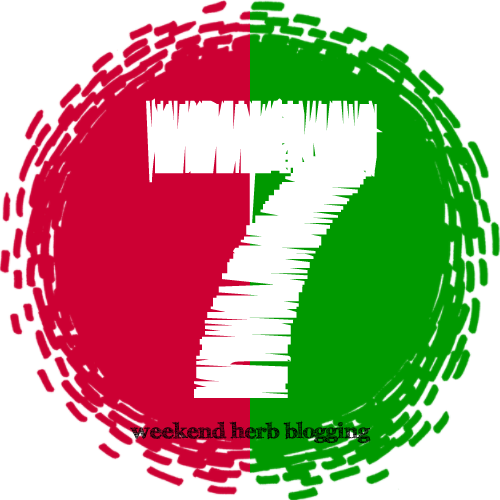 Ferragosto ... blog mio non ti conosco! Sembra impossibile ma siamo già arrivati a Ferragosto, e potrei dire che un pochino di malinconia mi prende già perchè in un battibaleno arriverà settembre e si dovrà rientrare completamente in modalità lavoro/studio/organizzazione domestica. Ma non pensiamoci troppo, godiamoci ancora queste vacanze assolate e calde, rinfrescandoci con un cocktail vitaminico supersalutare e benefico: niente alcool (anche se so già che qualcuno di soppiatto pregusta un'aggiustatina spumeggiante :-) quindi perfetto anche per gli astemi e i più piccoli, e tanta buona frutta di stagione prediligendo i frutti rossi (mirtilli, more, lamponi e ribes) protagonisti della raccolta di Salutiamoci di questo mese. Un caro augurio a tutti per un Ferragosto sereno e gioioso! In una coppa riunire la frutta (le pesche tagliate a fettine) e i succhi, mescolare bene, profumare col basilico spezzettato a mano. Lasciare riposare in frigo per almeno un'ora prima di servire. It's Ferragosto, the most popular Summer holiday in Italy, when everybody/every activity is closed and out of work (well, once it used to be, cities empty and quiet while beaches and mountain valleys full of tourists). 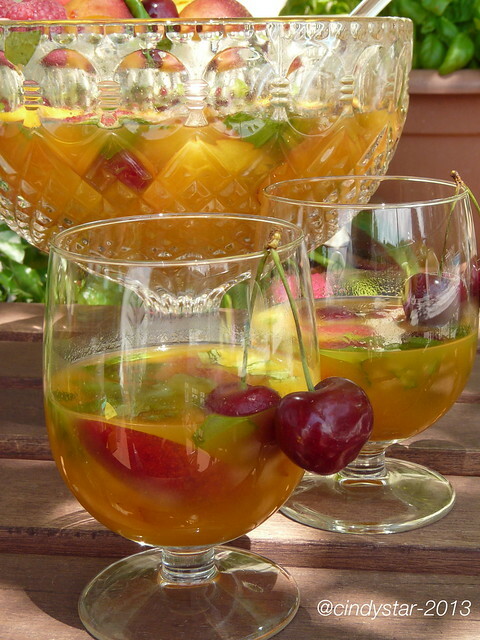 A sparkling wish for a cheerful and colorful summer to all of you with this fragrant, refreshing and non-alcoholic cocktail ... but if you like add some icy Prosecco just before serving, it will be super! 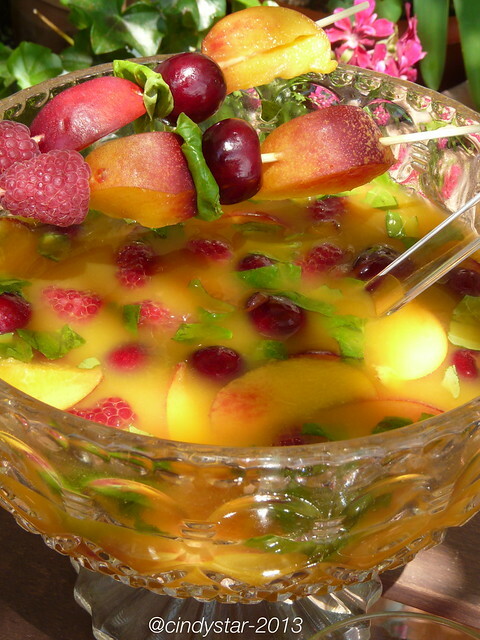 Cut peaches into slices and pour in a largewith the remaining fruits and all the juices, mix well and flavor with basil (chopped by hand). Keep in refrigerator for at least an hour before serving. Mese molto caloroso questo Agosto 2013, ma fresco, colorato e supervitaminoso per la raccolta di Salutiamoci che ci permette di fare una scorpacciata di frutti rossi: mirtilli, more, lamponi e ribes. E questo è il periodo ideale per raccoglierli se si fa una gita in montagna, io serbo un ricordo supergoloso di un agosto trascorso anni fa ad Alagna, con super camminate e super scorpacciate di lamponi e mirtilli nell'alpeggio di Otro. 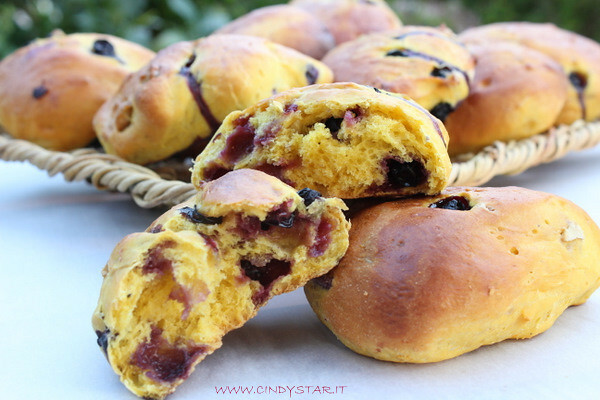 Ecco allora un bel pane morbido, colorato, fantasioso e saporito: un mix vincente che mi ha subito conquistato non appena letti gli ingredienti! Può essere fatto a pagnotta unica o diviso in tanti picoli panini dalla forma irregolare, perfetto per un Brunch domenicale. 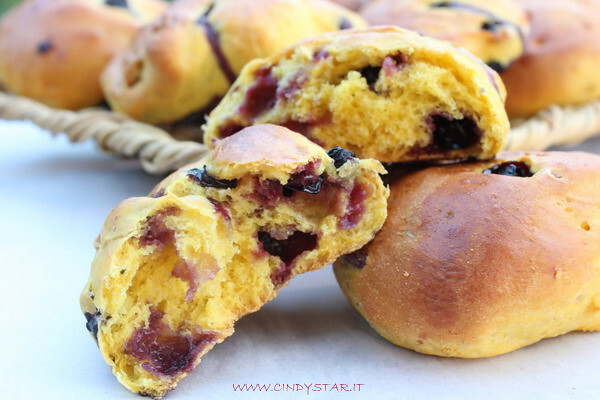 La ricetta è tratta dal libro Pane di Linda Collister, adattata per alcuni ingredienti alla tabella di Salutiamoci. 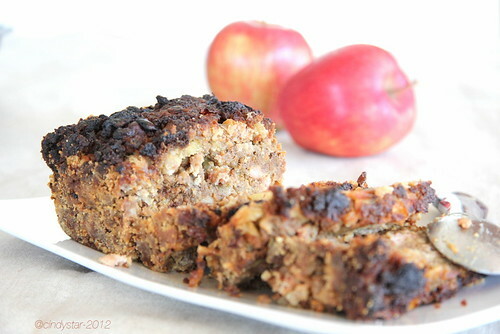 I got this recipe from Linda Collister book Bread, it was love at first sight when I read the ingredients! In brackets the substitution to have an healthier vegan bread. - Cut the pumpkin into pieces, peel and remove seeds and coarsely dice. Take 400 g and cook in the steam drum or in a pressure cooker or in oven (wrapped in aluminum) until soft. Cool slightly, then mix in a blender with butter, salt and sugar to a smooth cream and let cool. - Crumble the yeast into a small bowl, add water and mix well. - Put the flour and spices in a large bowl, make a well in the middle and pour into the mixture of pumpkin and yeast. 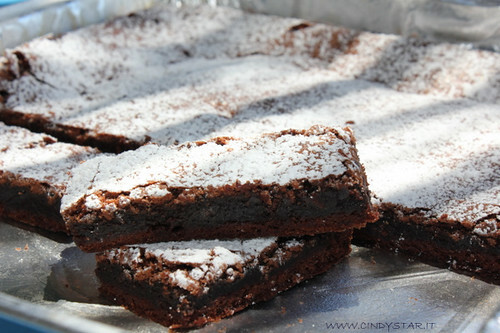 Begin to incorporate the flour until the mixture is soft but not sticky. Depending on the type of pumpkin used you may need a little more water, but always a tablespoon at a time, if the dough appears too dry, or a little more flour if too wet and sticky. 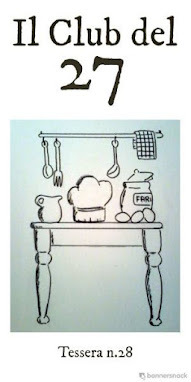 - Place the dough onto a floured work surface and work it for 5 minutes. Put in a lightly greased bowl, cover with plastic wrap and let rise at room temperature until doubled, about an hour. 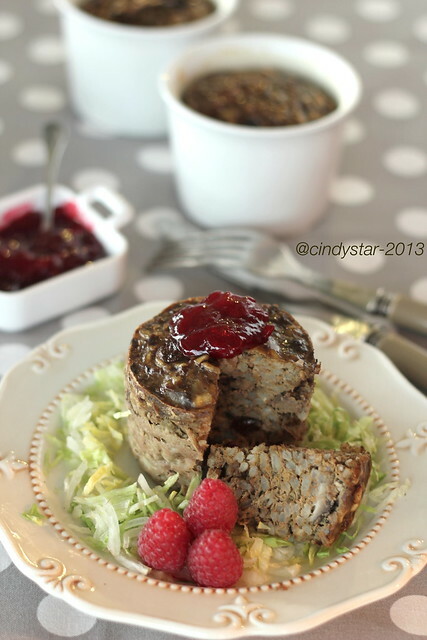 - Transfer the dough onto the work surface again and gently add walnuts and cranberries. If you decide for a single loaf, shape the dough into a round one and place on the pan (covered with parchment paper) to rise. Otherwise, divide the dough into 12 pieces and make balls of irregular shape. Place on baking tray covered with parchment paper and let rise covered until doubled, about 30 minutes for buns and 45 minutes for single loaf. - Loaf: press your thumb in the middle of leavened bread to make a small hole, brush with beaten egg and with a sharp knife make some incisions to resemble a pumpkin. Bake at 200° until golden, about 35 minutes: it is ready when it sounds hollow when spotted on the bottom. Cool on a metal rack. 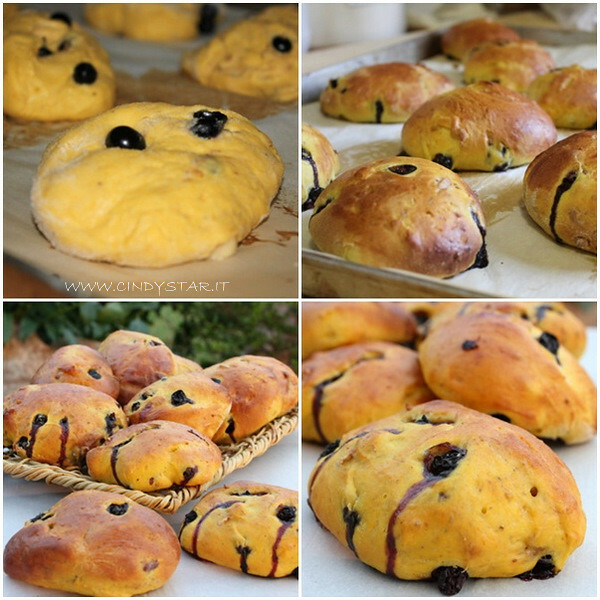 - Buns: brush with beaten egg and bake in preheated oven at 200° for about 15/20 minutes. Cool on a metal rack. both English and Italian edition. Non posso lasciare il Regno Unito senza spendere due parole sulla città che amo di più al mondo e che ne è anche la capitale, Londra. Me ne sono innamorata da liceale, ci ho vissuto per sei mesi dopo il liceo e ogni volta che ci ritorno è sempre più affascinante e coinvolgente. Ora ho il mio quarto figlio che ci abita e lavora, ha deciso di prendersi un anno sabbatico per fare esperienza, imparare meglio la lingua e magari, se le cose dovessero girare per il verso giusto, anche decidere di risiederci più a lungo. A me non dispiacerebbe, anzi, il mio sogno nel cassetto contemplerebbe un figlio sistemato in ogni continente della terra, così non avrei che l'imbarazzo della scelta di dove andare a svernare :-). Per chi vuole visitare Londra, non c'è che l'imbarazzo della scelta talmente sono tante le cose che si possono vedere e fare, dai monumenti ai musei, dagli spettacoli teatrali ai parchi cittadini, ogni angolo, ogni zona merita una visita o un approfondimento. 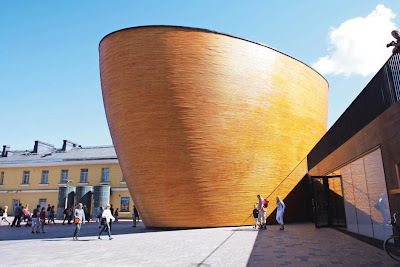 Ed un buon paio di scarpe comode aiutano a muoversi con scioltezza a piedi, osservando, ammirando, apprezzando le varie architetture così diverse dalle nostre che gli edifici offron. E poi c'è la cosa più divertente, spensierata ed allettante: lo shopping! I negozi si susseguono a dismisura, i grandi magazzini fanno a gara nell'offrire le più luccicanti ed accattivanti vetrine, ogni guida segnala il più antico, il più reale, il più British, il più modaiolo, il più cool, il più trendy; e si possono fare ottimi affari, soprattutto in periodo di saldi. 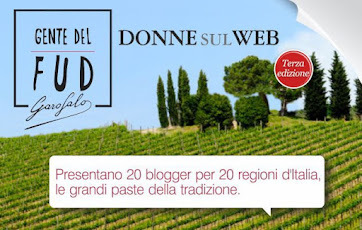 C'è una cosa che a me piace fare, se possibile, in ogni città che visito: andar per mercati. Mi piace curiosare tra i banchi, di qualunque genere siano (alimentare e non), mi piace guardare ed ascoltare le persone che scelgono, comprano, alle volte contrattano; se poi sono persone del luogo, mi sembra quasi di farne parte anche io, anche solo per il semplice bighellonare tra le merci esposte. A Londra ci sono mercati in ogni zona della città, basta digitare mercati a londra su Google e si apre una pagina di informazioni a riguardo, oppure navigare sul sito a loro dedicato, ed anche Wikipedia ne fornisce una pagina ben fornita. O ancora se ne può venire a conoscenza mentre si passeggia tranquillamente in riva al Tamigi. Camden Town e Petticoat Lane sono un ricordo di gioventù, e mi è spiaciuto a Natale non aver fatto in tempo a rivederne almeno uno. Spitafield raccoglie in zona tanti bei negozietti carini ed originali, peccato che quando si è in giro con gli uomini bisogna far finta di aver gli occhi bendati! 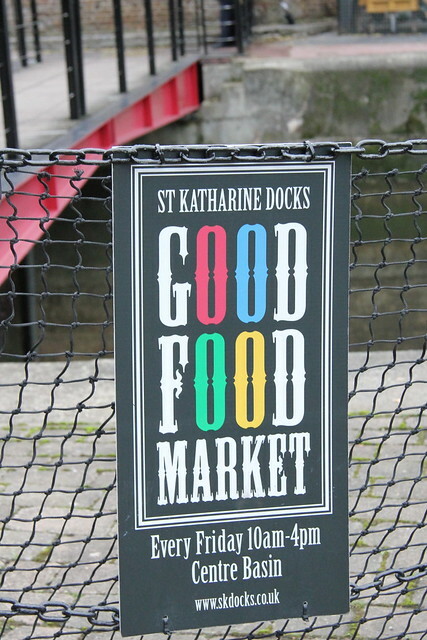 Pochi giorni prima di Natale abbiamo visitato il Borough Market, grazie anche ad aperture straordinarie per il periodo festivo, un mercato dove fare comodamente la spesa, pranzare anche all veggie, degustare un ottimo e tradizionale fish&chips, perdersi tra i mille colori e profumi di ogni prelibatezza offerta,dove poter trovare anche le Rolls Royce dei tacchini! Non si può uscire a mani vuote da questo mercato, ed è quasi obbligatorio assaggiare qualcosa nei vari stand, o perlomeno fino a quando ci si riesce! Per chi volesse fare un giro virtuale al mercato tutte le foto sono qui (non sono riuscita a fare lo slide-show con il nuovo look di Flickr). 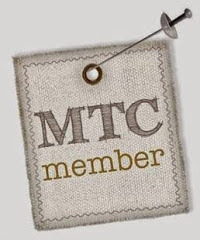 Ma il mercato che mi ha veramente affascinato 3 anni fa è stato Broadway Market. Ne avevo già parlato qui, ma riporto volentieri quello che avevo scritto, aggiungendo però che è meglio andare a stomaco vuoto e magari a metà mattina, in modo da poter rimanere per il pranzo, perchè le cucine offerte sono veramente tante, varie, golose, invitanti che vale la pena approfittarne! 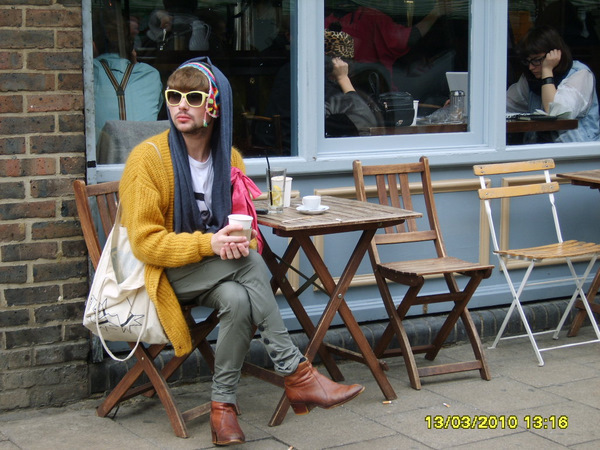 Fra i tanti mercati da vedere, ho scelto di visitare Broadway Market, e ne sono rimasta totalmente affascinata! Three years ago I was in London with a dear friend of mine for a short holiday. 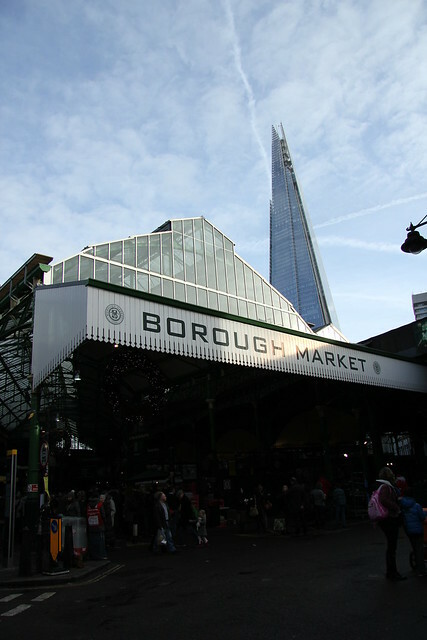 So many things to do and so many place to see, so many markets to choose the most characteristic. 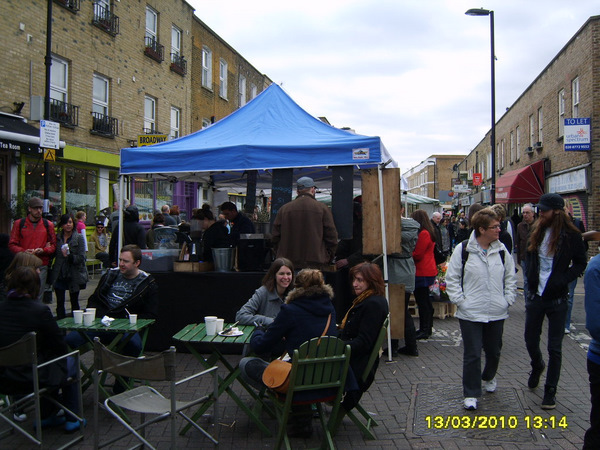 My decision brought us to Broadway Market, London E8, just off London Fields and Regent's Canal. 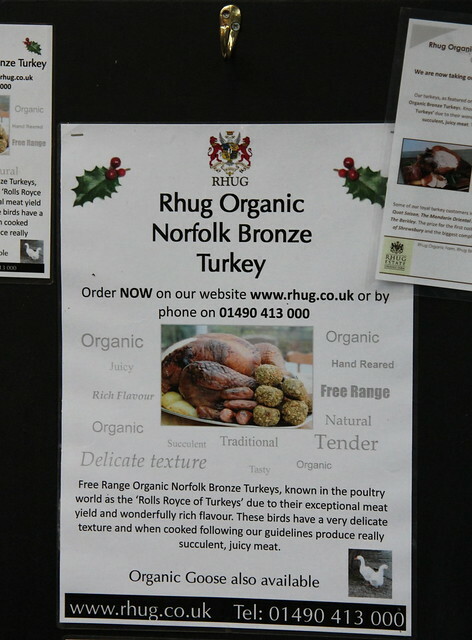 It's open on Saturdays and is one of the best place to buy organic farmers' food, and something more. 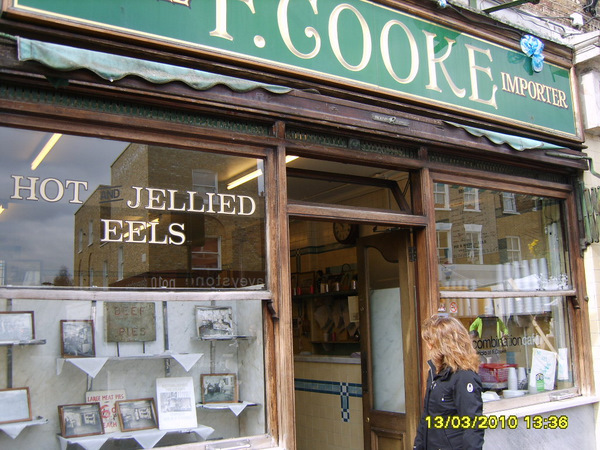 You can read on their site all about its origin, food, fashion, community and location. Please have a trip on the slideshow above, sure you will be delighted as we were that day! Un grazie di cuore ad Alex di Food 4 Thought che ci ha generosamente ospitati nel Regno Unito per l'Abbecedario della Comunità Europea. Continua il viaggio nel Regno Unito per l'Abbecedario della Comunità Europea, ospiti di Alex di Food 4 Thought. E dopo le celebrazioni saporite di ieri, ecco una carrellata più dolce e forse più golosa della tradizione anglosassone. 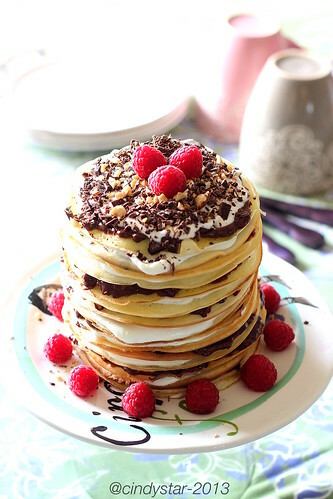 Il Martedì grasso (Shrove Tuesday) è detto anche Pancake Day dai nostri amici inglesi, perchè la loro tradizione vuole che si debba festeggiare questo giorno degustando soffici pancakes. E con la ricetta del simpatico Jamie il successo è assicurato! I frollini più festaioli di tutto il mondo anglosassone! Non poteva mancare il dolce cioccolatoso più semplice ma nel contempo più buono della tradizione dolciaria inglese: magiche crepe fai-da-te racchiudono un cuore morbido e libidinoso, difficile resistergli! 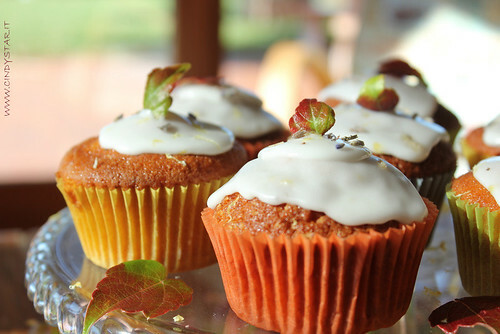 Non potevano mancare i muffins, in questo caso in abito autunnale alla zucca, seguendo la ricetta del gran simpaticone di Jamie . 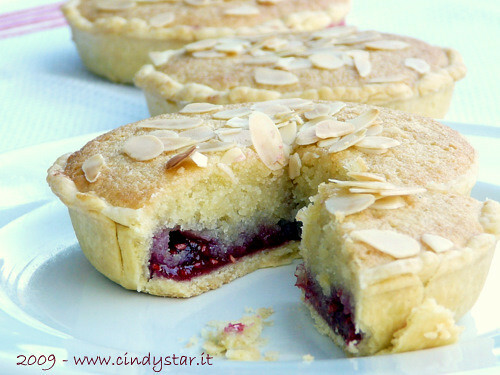 La regina delle confetture inglesi, in particolar modo questa ricetta di famiglia la rappresenta al top! Proviene dalle abili mani conserviere della nonna inglese di un'amica francese (ma che abita a Roma) ed è così buona che la faccio e rifaccio da anni, ottenendo sempre un grande successo all'assaggio. Non ho mai amato la marmalade, ma per questa faccio colazione anche due volte! 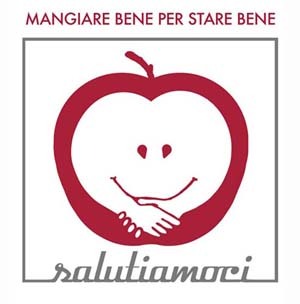 E' già da più di due settimane che l'Abbecedario Culinario della Comunità Europea è sbarcato nel Regno Unito, dove siamo ospiti ancora per qualche giorno di Alex di Food 4 Thought. E ancora non sono riuscita a fare ordine nelle mie ricette d'oltre Manica per mandarne qualcuna alla raccolta (che sta diventando ogni giorno più golosa! :-). Ma sto vivendo un'estate abbastanza movimentata, sono poco a casa e quando ci sono le incombenze familiari e non si accumulano e il tempo non basta mai. Regno Unito, ovvero Gran Bretagna e Irlanda del Nord, ovvero Inghilterra, Galles, Scozia e Irlanda del Nord. In gioventù ho fatto un viaggio bellissimo con la scuola in questa nazione, 15 giorni trascorsi a visitare in lungo e in largo i luoghi più interessanti: una full-immersion di 3 giorni a Londra, bastati per lasciarci il cuore e ritornarci poi a viverci per 6 mesi dopo la maturità, le imperdibili visite alla Cattedrale di Canterbury, al maestoso e magico sito di Stonehenge, all'imponente Castello di Windsor, e poi in vagone letto fino ad Edimburgo (dove ho il ricordo di un bellissimo albergo e di una cena tradizionale scozzese, con i camerieri col tradizionale kilt), Glasgow, Inverness e da lì una piacevole scorazzata in autobus attraverso le dolci colline scozzesi e i suoi innumerevoli laghi, senza tralasciare il famoso Loch Ness, e castelli. Era maggio, la primavera faceva capolino nella brughiera, tapezzandola di erica in fiore: uno spettacolo unico! Ed ancora la scoperta dell'isola di Skye, quel giorno il mare ed il cielo facevano a gara per accappararsi il colore più vivo ed intenso, passando da un grigio etereo al piombo più scuro, così in contrasto col verde brillante o i toni bruciati della terra isolana. Anche se ero molto giovane e forse più interessata a divertirmi con le amiche che ad assaporare intensamente quello che mi ruotava vorticosamente intorno, porto nel cuore ancora un ricordo vivo ed emozionante, indubbiamente una delle più belle vacanze turistiche che abbia fatto! Tutto il Regno Unito è in festa in questo periodo per la nascita del Royal Baby, l'atteso erede di Kate e William, terzo in successione sul trono reale. Ero a Londra anni fa nei giorni precedenti il matrimonio di Diana col Principe Carlo e non c'era vetrina e/o angolo della City che non ne portasse un segno tangibile. Anche i più incalliti e recalcitranti oppositori della monarchia sembrano quasi soccombere al vorticoso walzer mediatico che (s)travolge ogni avvenimento celebrativo della Casa Reale. A maggior ragione ora che si tratta di una nascita, già di per sè un avvenimento tanto straordinario quanto gioioso: e personalmente al pincipino non posso che augurargli tanto vero amore, quello dei suoi genitori! - La Danbury Mint ha già creato e messo in vendita a £149 la bambola "Royal Baby Christening Doll." - A soli sei giorni dalla nascita del Principe George sono già stati stampati i primi francobollli commemorativi dall'Ufficio Postale dell'isola di Man. Poco dopo anche l'Australia emette un francobollo commemorativo per l'arrivo del Principe George di Cambridge. - Il sito ufficiale della Monarchia Britannica ha già messo in lista il Principe George di Cambridge come terzo in linea di successione. - I collezionisti di gadgets reali non si saranno di certo lasciati scappare le edizioni domenicali del Daily Mail e del Daily Express, usciti con allegati speciali commemorativi: il Daily Express anche con un flute per champagne celebrativo. - La regina era così felice per la nascita del Principe George che ha indetto dei festeggiamenti anche per il suo staff di Buckingham Palace, del castello di Windsor e di Holyrood Palace, la sua residenza ad Edimburgo. L'invito di Buckingham Palace diceva che lo staff poteva degustare una coppa di champagne per celebrare la nascita reale nella sala da pranzo tra le 11.30 e le 13.30. - Per la terza generazione consecutiva, le campane nella cattedrale di St. Paul. hanno suonato a festa. Dopo la nascita del Principe Carlo nel 1948 e quella del Principe William nel 1982, una squadra di 13 suonatori ha fatto cantare le 12 campane per la nascita del Principe George. - Lunedì notte le cascate del Niagara sono state accese in blu in onore del Royal Baby. - Dopo l'effetto Kate nel mondo della moda, si preannuncia un Royal Baby Fashion Style che influenzerà anche la moda dei più piccoli. Questa ricetta fu creata da Constance Spry (incaricato all'epoca di organizzare anche la scelta e disposizione dei fiori nell'Abbazia di Westminster e lungo il tragitto reale fino a Buckingham Palace) per celebrare l'incoronazione della Regina Elisabetta nel 1953. Oggi è diventato un classico molto popolare della cucina britannica nonchè uno dei favoriti nei pranzi di festa. Non c'è Natale senza tacchino, in casa nostra ormai è un'istituzione, valida anche per festeggiare altre occasioni importanti. La nostra tacchinata più importante ha sfiorato i 18 kili! 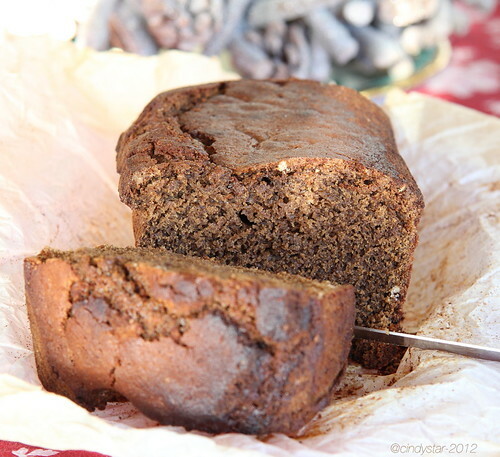 Un pane dolce e speziato, che inebria già mentre cuoce nel forno lasciando un aroma irresistibile nell'aria, very British style ... come la simpatica Nigella, da cui ho preso la ricetta. Un mix fantastico e festoso, buono anche da solo ma duttile per svariati abbinamenti, senza dimenticare che potrebbe essere una buona farcia per il prossimo tacchino natalizio! Le ricette dolci nel prossimo post ... stay tuned!